Could we soon realize when someone is at risk for post-traumatic stress disorder before they have an episode? 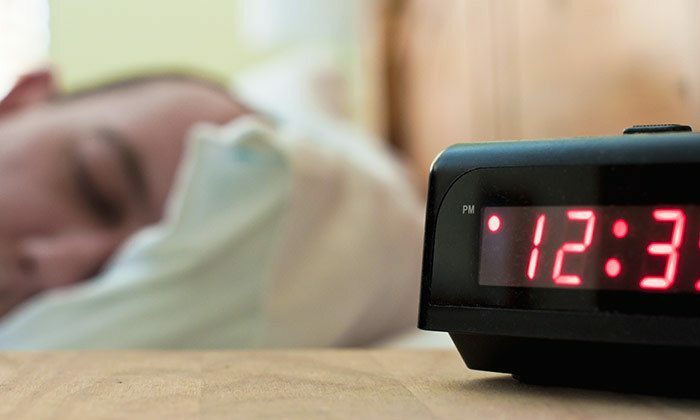 A new study published in the Journal of Neuroscience suggesting we can, and it could be as simple as examining their sleep patterns. The study, from Rutgers University, found that people with more rapid eye movement (REM) sleep (or deep sleep) had significantly lessened brain activity in their fear receptors when it comes to emotional learning tasks. In short, getting better sleep can make someone less prone to a PTSD episode. REM sleep, researchers say, is crucial in moving emotional memories from short term to long term storage in the brain. When an emotionally troubling event remains in short term memory, that’s when people suffer from PTSD. And given that disturbed sleep is a characteristic of PTSD and that PTSD is associated with fragmented REM sleep, it’s not hard to see that there’s a correlation. The question is, can better sleep actually help protect against future trauma? Studies have found that taking naps diminishes a person’s physiological and emotional responses to fear provoking pictures, so there may be some truth to this school of thought. But the Rutgers study seems to suggest that REM sleep is what really matters. Napping doesn’t increase REM sleep. The only way to get more of that is to get more sleep overall, which produces more melatonin. The Rutgers study did actually show that participants reaction to fear-provoking stimuli was lessened when they had a greater amount of REM sleep. While there’s a long way to go to prove a definitive link, early research does seem to show that there’s something worth investigating. And if it can be proves that there’s truly a way to lessen the effects of PTSD, it would be fantastic news for millions of sufferers. Can Sleep Glasses Help Teenagers Overcome Chronic Sleep Problems?